On 26 January, one of the saddest days in human history will be celebrated in Australia. It will be "a day for families,” say the newspapers owned by Rupert Murdoch. Flags will be dispensed at street corners and displayed on funny hats. People will say incessantly how proud they are. For many, there is relief and gratitude. In my lifetime, non-indigenous Australia has changed from an Anglo-Irish society to one of the most ethnically diverse on earth. 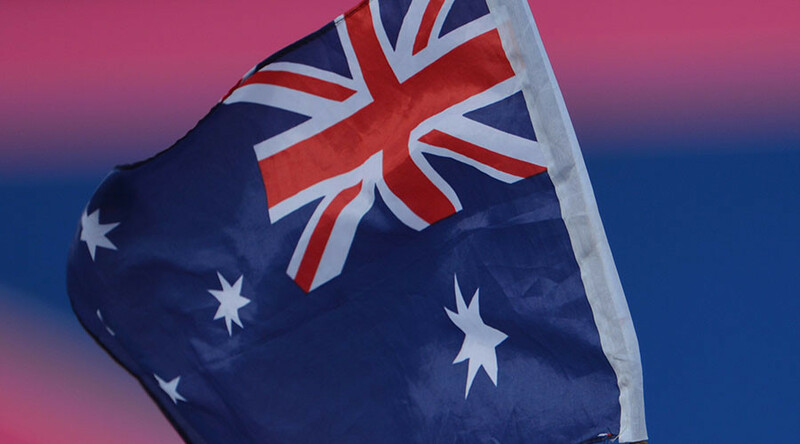 Those we used to call "New Australians" often choose 26 January, “Australia Day", to be sworn in as citizens. The ceremonies can be touching. Watch the faces from the Middle East and understand why they clench their new flag. The original Australians are the oldest human presence. To the European invaders, they did not exist because their continent had been declared terra nullius: empty land. To justify this fiction, mass murder was ordained. In 1838, the Sydney Monitor reported: "It was resolved to exterminate the whole race of blacks in that quarter." This referred to the Darug people who lived along the great Hawkesbury River not far from Sydney. With remarkable ingenuity and without guns, they fought an epic resistance that remains almost a national secret. In a land littered with cenotaphs honoring Australia's settler dead in mostly imperial wars, not one stands for those warriors who fought and fell defending Australia. This truth has no place in the Australian consciousness. Among settler nations with indigenous populations, apart from a facile ‘apology’ in 2008, only Australia has refused to come to terms with the shame of its colonial past. A Hollywood film, Soldier Blue, in 1970 famously inverted racial stereotypes and gave Americans a glimpse of the genocide in their own mythical ‘settlement’. Almost half a century later, it is fair to say an equivalent film would never be made in Australia. In 2014, when my own film, Utopia, which told the story of the Australian genocide, sought a local distributor, I was advised by a luminary in the business: "No way I could distribute this. The audiences wouldn't accept it." He was wrong -- up to a point. When Utopia opened in Sydney a few days before 26 January, under the stars on vacant land in an Indigenous inner-city area known as The Block, more than 4,000 people came, the majority non-Indigenous. Many had travelled from right across the continent. Indigenous leaders who had appeared in the film stood in front of the screen and spoke in ‘language’: their own. Nothing like it had happened before. Yet, there was no press. For the wider community, it did not happen. Australia is a Murdochracy, dominated by the ethos of a man who swapped his nationality for the Fox Network in the US. "Now imagine how it feels when the people who benefited most from those rapes, those killings and that theft - the people in whose name the oppression was done - turn away in disgust when someone seeks to expose it." Goodes himself had already broken a silence when he stood against racist abuse thrown at him and other Indigenous sportspeople. This courageous, talented man retired from football last year as if under a cloud -- with, wrote one commentator, "the sporting nation divided about him.” In Australia, it is respectable to be "divided" on opposing racism. On Australia Day 2016-- Indigenous people prefer Invasion Day or Survival Day-- there will be no acknowledgement that Australia's uniqueness is its first people, along with an ingrained colonial mentality that ought to be an abiding embarrassment in an independent nation. This mentality is expressed in a variety of ways, from unrelenting political groveling at the knee of a rapacious United States to an almost casual contempt for Indigenous Australians, an echo of "kaffir"-abusing South Africans. Apartheid runs through Australian society. 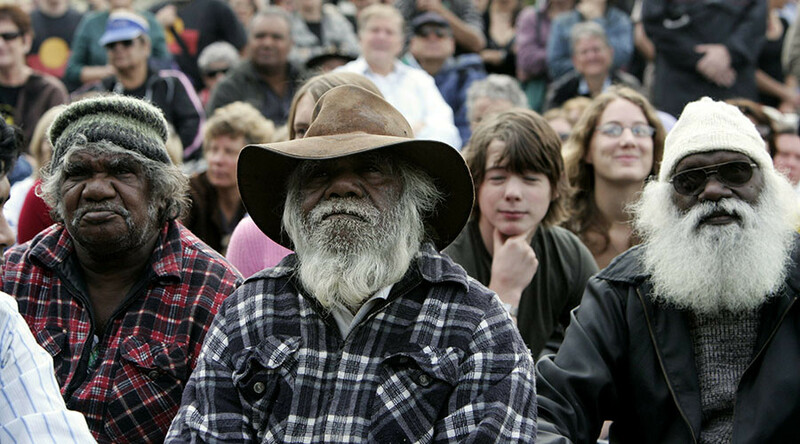 Within a short flight from Sydney, Indigenous people live the shortest of lives. Men are often dead before they reach 45. They die from Dickensian diseases, such as rheumatic heart disease. Children go blind from trachoma, and deaf from otitis media, diseases of poverty. A doctor told me, "I wanted to give a patient an anti-inflammatory for an infection that would have been preventable if living conditions were better, but I couldn't treat her because she didn't have enough food to eat and couldn't ingest the tablets. I feel sometimes as if I'm dealing with similar conditions as the English working class of the beginning of the industrial revolution." The racism that allows this in one of the most privileged societies on earth runs deep. In the 1920s, a "Protector of Aborigines" oversaw the theft of mixed race children with the justification of "breeding out the color.” Today, record numbers of Indigenous children are removed from their homes and many never see their families again. On 11 February, an inspiring group called Grandmothers Against Removals will lead a march on the Federal Parliament in Canberra, demanding the return of the stolen children. Australia is the envy of European governments now fencing in their once-open borders while beckoning fascism, as in Hungary. Refugees who dare set sail for Australia in overcrowded boats have long been treated as criminals, along with the "smugglers" whose hyped notoriety is used by the Australian media to distract from the immorality and criminality of their own government. The refugees are confined behind barbed wire on average for well over a year, some indefinitely, in barbaric conditions that have led to self-harm, murder, suicide and mental illness. Children have not been spared. An Australian Gulag run by sinister private security firms includes concentration camps on the remote Pacific islands of Manus and Nauru. People often have no idea when they might be freed, if at all. The Australian military -- whose derring-do is the subject of uncritical tomes that fill the shelves of airport bookstalls -- has played an important part in "turning back the boats" of refugees fleeing wars, such as in Iraq, launched and prolonged by the Americans and their Australian mercenaries. No irony, let alone responsibility, is acknowledged in this cowardly role. On this Australia Day, the "pride of the services" will be on display. This pride extends to the Australian Immigration Department, which commits people to its Gulag for "offshore processing,” often arbitrarily, leaving them to grieve and despair and rot. Last week it was announced that Immigration officials had spent $400,000 on medals which they will award their heroic selves. Put out more flags. On January 26, Indigenous Australians and their supporters will march from The Block in Redfern, Sydney, to the Sydney Town Hall. The march will begin at 10 am. On Thursday February 11, Grandmothers Against Removals will address a rally in Canberra. This will start at 12 noon at the Aboriginal Tent Embassy, then march to Parliament House.